How Did We Become Like This? Some days ago, I was driving home after a really long day at work. The time was about 0830PM. I watched as a car coming from the opposite side apparently lost control, ran into a ‘Keke’ (tricycle/rickshaw) that was picking up passengers right on the road, crossed over to my side of the road, and then piled into the gutter and was stopped by the embankment on the side of the road. The ‘Keke’ took quite a tumble as it turned over several times and eventually rested on its wheels. 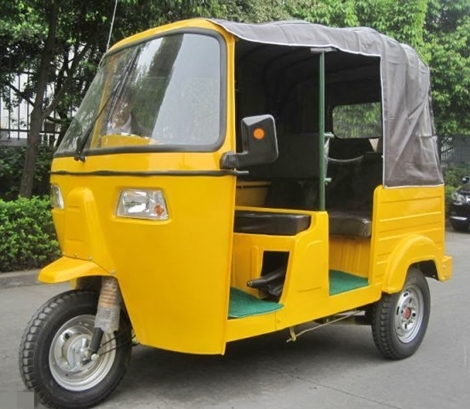 Other drivers parked and the pedestrians who observed the incident, immediately went to assist the victims in the ‘Keke’ and also to see to the driver. I parked a few meters from the incident and came down to see how I could help. Thankfully, nobody sustained any serious injuries. Having watched the incident happen, I thought that was quite miraculous. The ‘Keke’ was in a really bad shape. All banged up and twisted, but nobody was hurt seriously. The driver of the car was in a bit of daze. His airbags had deployed and coupled with his seat belt, apparently saved his life. One of the people who had stopped started telling us how the driver zipped past him at high speed not realizing that there were a series of speed bumps ahead and probably lost control of the vehicle as he was trying to stop to avoid running through those bumps at high speed. As all this was happening, other ‘Keke’ riders had stopped to see to their colleague. We watched as they huddled among themselves and then they approached the offending vehicle in their group. When the people who had gathered to see what was going on asked them what they wanted, they replied that they wanted to burn the vehicle. “Burn the vehicle ke!!!?? ?” The thought was quite alarming to me. “What on earth was that??! !” Granted, the driver was extremely careless. There was no loss of life (and even if there was), there were no serious injuries, granted the ‘Keke’ was in quite a bad shape, but to burn the vehicle in response??? A tussle then ensued between the ‘Keke’ people and other folks like me who were enraged at the thought of burning the vehicle in response to the accident. One of the folks even asked them what the ‘Keke’ was doing picking passengers right on the road in the first place. This went on for a few minutes until a certain gentleman in a black suit who was one of the people engaged in the tussle to prevent them from burning the car, pulled out a handgun, cocked it, raised the gun above his head, and fired a shot into the air. The ‘Keke’ people immediately took to their heels. The scramble to get out of the place was amusing to watch to say the least. They fled. The man who fired the shot and the others with him started calling to them to come back. “Shebi una wan burn car ba? Oya make una come burn am make we see!! !” (meaning: you folks want to burn the car? Come and burn it and see if we will watch you do it), was hurled at the fleeing incendiaries. How did we really become like this? At one time or the other, we have had to use tanks or hoses. For example, in places where water supply is not always guaranteed, it generally makes sense to get a tank or some form of container to store water when it is available so that there would be water to use when it is no longer available from the usual source. We have also used hoses to water our lawns, wash our cars or even siphon fuel (sorry to remind you of the dark and frightful days of petrol scarcity). In life, the tank versus hose analogy might apply to the human experience and may categorize us. If there was any other better word to describe you, I would sail the seven seas, climb the highest mountains, and search the deepest forests till I could find it. Just calling you MOTHER brings the sum of it and the depth that only those who have truly experienced you can truly appreciate. You have never tried to be anything else. You have never been anything less. You are one, and one of a special kind. My skies are dark; thick clouds obscure even the faintest hint of light. Yes the wind! Such ferocity, my life has scarcely experienced. Long I had thought this storm would pass. Long had I longed for but a sliver of golden ray. My feet have long become dead weights, unsure, so unsteady. When I begin to feel the purchase of solid ground, the next step, an icy cold murk bath. The vestiges of warmth receding with every drop. How much lower can a person feel? “What are you doing here?”, Raub the treacherous said to the angel. Seph looked at him for a little while but did not answer. Raub became indignant and took threatening steps forward. “What are you doing here?”, he roared yet the more. Seph continued to pay him no attention until Raub was standing literally in his face. The other demon spirits in the building saw or more like sensed the presence of the angel and hurriedly drifted over. None of them were happy to see him. They all joined Raub in asking him to get out. Seph looked at all of them and looked away sadly. He made to enter the hall, and they blocked his way immediately. From where he stood though, he could see what was going on inside. The praise and worship session was going on quite boisterously and the people were having a good time of it. A lot was missing though. Normally at such a time, the airways would have been full of the flows of the Spirit and you would have angels go in and out through the congregation, doing the Spirit’s bidding. But today, even though the music was of an excellent quality and the people praised with all their hearts and might, there was nothing to be seen. The demon was right, the Master had not been here for several years. The people had over the years continued to draw away from the Saviour and had gradually forgotten how to honour Him. His presence had waned and waned until the fire had gone out completely. The worst part was that they had not even noticed. Or maybe, someone had. He had been sent here with a message. He had not been here in years either and was rather surprised when he found out he was being sent here. “I have a message to deliver”, he said to Raub. Seph smiled. His smile made the demons red in the face with anger. Some of them reached for weapons but Raub raised a hand to still them. “And if I refuse to?” Raub replied. “How long do you want to continue to have any influence in this place?”, the angel asked him. Seph ignored them for a moment. He had seen her. While everyone else was dancing and jubilating, she stood quite still. There was obviously some kind of struggle going on in her but his insight into such things was limited. Tesa was just tired. The hall was full of people but she had never felt so alone. It was a really large congregation and she had enjoyed the past five years in the church; but in the past few months, she had begun to feel that she did not belong there anymore. It was a really strange feeling. Church used to be fun, inspiring, and refreshing but somewhere along the lines, something had changed. The overall experience was still awesome to behold; the organization, the flow, the dressing of the church workers, down to the eloquence of the Senior Pastor. It was all exquisitely delivered; but deep inside she could not quite figure out why she felt something had been out of place for a while. The feeling had become like a burden in her heart and had consumed her devotions. “God help me”, she thought fiercely. Seph had had enough. He raised himself to his full height and immediately was clothed in a blaze of glory. Raub snarled and grabbed for the angel, and suddenly found himself on the floor with the angel’s foot on his neck and a fiery sword pointed at his neck. “Tell your minions to back down or else I can make this worse for you”, the angel commanded. The demons had even started to draw back of their own volition. Seeing their liege at the angels feet in a matter of seconds had weakened any resolve to fight that they had. The angel stepped over him and entered the hall of congregation and headed for Tesa. He laid his hand gently on her shoulder. She felt as though someone had touched her and looked around to see who it was. The people around were too engrossed in the praise and worship to have touched her. “You do not belong here anymore and it is time to leave. Your time here is up and the Lord is calling you out. LEAVE NOW and do not come back”, she heard. She looked around in panic but could not see who had spoken to her. She suddenly felt a keen sense of urgency and grabbed her purse and started walking out of the church. Nobody paid her any attention. Seph accompanied her as she left. The demons parted as they came out and they passed without incident. She looked back at the Church with the words still ringing in her ears. “Do not come back”, was a bit hard to fathom considering how long she had been here, but deep inside she knew it was what she had to do. Two other angels Miza and Rosh, met with Seph as he came out with her. Their presence had been concealed from the demons to avoid causing a major incident. “That went well”, Miza said with a wry grin. Rosh just looked at him and rolled his eyes. They nodded and turned their attention to their new charge. “Where do I go from here”, Tesa was asking herself as she entered her car and began to drive off, but there were no immediate answers. Seph watched her go. His assignment was done for the moment. As quick as thought, he was soaring through the skies on his way to a debrief. All of a sudden, I heard tires squealing, and as I looked up, right in front of me, this vehicle knocked down a man on a motorcycle, swerved into my lane to avoid climbing over the man lying on the road, and then sped off. The screeching tires was the driver’s attempt to avoid the motorcycle, who it would appear, suddenly came from nowhere. The screeching was also indicative of the speed with which the driver was approaching a major turnoff on the road where motorcycle and ‘Keke’ riders were likely to stop. The time was about 6:45 pm. We all stopped to see what had happened to the rider. Thankfully, he was still alive but in the shock of the event, he barely could say anything. This was two evenings ago, on my way back from work. What are we gradually becoming or what have we become as Nigerians? Are we growing mindlessly callous without realizing it? I watch the way people drive and it is apparent that all they ever think of, are themselves. Most of our traffic jams are self-inflicted. Self-inflicted because with a little patience and orderliness, we would spend much less time on the roads. Nobody wants to wait! Nobody wants to take turns! Everyone just wants to have their way at the same time and that only breeds chaos. I am told that incidents like the one described above are pretty common place these days. This was my second observed incident in about a year. The first one, the driver actually sped off but was chased down by folks who observed what happened. Unfortunately, the young man who was knocked down, died on the spot. To even think that the driver would stop and see to the casualty and even render whatever help, instead, s/he zoomed off at high speed! What a shame! In this case, it was too dark to observe things like vehicle make or number plates. Even if someone had those details, would it have made a difference in identifying the culprit? There is too much selfishness in our societal interactions. It is more painful to even see our children being exposed to such rotten behavior. Right now we are showing them that it is okay to drive against traffic, avoid queues, run red lights (a driver told called me a ‘mumu’ once for waiting at a red light), and behave in such disorderly manner. Our ‘elected’ (and I use the word loosely) officials run us off the road with their armed escorts and sirens, because they are considered too big to follow basic societal laws that govern human interaction. Even folks on their way to church on Sunday morning, run red lights and go and lift up ‘holy’ hands! Where we are going with all these, I do not understand. It would appear that we have gone past feeling and shame does not matter. Most of the people I see doing these things are people who appear educated or rich enough to know better. These days, I see it does not follow. While you may point your fingers at our leaders as Nigeria’s problem, remember that they came from the streets, like you and me. It is followers who one day become leaders and if this is the kind of followers we have right now, then we should really really be concerned. It was the biggest party he had ever seen in his life. Not like he had attended so many in his time, but from all he had heard, seen, and experienced directly, this trumped them all. The hall alone was the biggest room he had ever been in, and as far as he was concerned, stretched for miles and miles. Well, when you worked for the largest company in the world, what else was one to expect. For the past 20 years, Stephen had worked for Noiz International Incorporated, a global conglomerate with interests in every imaginable endeavour across the planet and had offices, branches, and subsidiaries scattered all across the globe. He worked in the entertainment section of his group and over the years had risen, rather slowly, to a senior sales officer. One thing was clear to him though and aroused his curiosity; this was the first time this party was being thrown on such a global scale. His curiosity stemmed from wondering why Noiz had never thought to do something like this in all the years he had been there. All operations had been shut down globally because of the party and invitations had gone out to every employee to attend, all expenses paid. He was completely awed by the decorations. It was a combination of brilliance and elegance without being overstated. The food!!! There were tons of it. How else did you plan to feed that many people? He looked around at the people who were present. The majority he had no clue who they were. He knew some of the ‘stars’ of the company though, after all, he had been there for quite some time. They all stood in cliques and groups, chatting away, and being merry. There were some people he had expected to see as he strolled around the hall. Some of them were the really big superstars of the company. You could always tell when they were around. They were the life of the party, and with their charisma and charming personalities, drawing a crowd around them was easy peasy. Some of them were conspicuously missing. The invitation card and email had said to be at the venue by 10 pm prompt. It had also stated clearly that no one would be allowed entry who arrived after then. No matter who they were. He had made it with minutes to spare. He had taken one look at the fierce-looking bouncers at the gates and had known that they would comply totally with the orders they had been given. He was right. As he strolled towards the windows overlooking the gates, he saw a crowd of employees who had been denied entry, and were clamouring to enter. The guards were standing their ground and were physically repelling anyone who thought to struggle in. Phew! He let out the breath he did not realise he had been holding, and thanked the stars he had made it in. One more look at the crowd outside and he turned and walked away. It was really sad that they would miss an event such as this. He turned his mind to happier thoughts and decided to mingle with the others and be merry. He found that some of his close buddies at work had also made it and he decided to hang out with them. A very light jazz played in the background. It was also the biggest live orchestra he had ever seen. The music just seeped into his soul and had a soothing and calming effect. Waiters moved among the crowds serving all sorts of hors d’oeuvres. He snagged a glass of something he was not quite sure what it was, but a whiff and a taste later, all his senses came alive, and he really felt good with himself. Suddenly, the tempo of the music changed to a brisk foxtrot. A huge hidden door smack in the center of the hall opened and the Chief Executive Officer stepped briskly albeit regally into the hall to a shower of confetti. He had a huge smile on his face and the crowd gave him a thunderous applause. He was dashingly handsome and looked fitter than many much much younger than he was. The office grapevine put him somewhere between his 70s and 80s. Despite his age, his hair was full and snow white in colour. He was dressed simply in a long-sleeved white tunic and trousers with a simple pair of sandals on his feet. His only other adornment was a silver chain with a lion’s head as a medallion. He had been CEO as far as Stephen could remember and was well liked by his employees, and had the grudging respect of the competition. As the applause went on, he turned and nodded his head, and the Chief Operations Officer came up to join him. Between the two of them, they had built something formidable that few ever dreamed possible in their lifetime. He raised his right hand and the applause died down. He started to speak and the hall went deathly still. Once again, the room erupted in thunderous ovation as the CEO stepped off the Dias and into the crowds to meet and greet. He knew most of the people by name and that was no mean feat. Every hire had to meet with him at the point of entry. The Master of Ceremonies (MC) took to the podium to announce that dinner was served, and the people were ushered expertly to whatever menu caught their fancy. Stephen had never felt so hungry in his life. The sight and smell of the food alone was enough to have him salivating profusely. Tonight he was going to sample as many delicacies as he could hold. It was really fun. He had the best food, the best drinks, some really good buddies, really good music, and the best atmosphere in the world at that point, what more could anyone ask for. At about 1 a.m., the MC got on the podium to announce that the awards ceremony would be starting shortly. Everyone would be called up to meet with the CEO and receive his or her award. Stephen was a bit surprised at that. It was going to be a really long night then. He wondered how long it was going to take to get through the sheer numbers who had come in such a personalised award ceremony. He was also a little anxious trying to imagine what he would receive for the 20 years of service he had put in. The awards started and as it progressed, his anxiety worsened. As your name was called, a citation of accomplishments was quickly read out as the awardee walked toward the stage. It started to get interesting when people who were little known within the organisation bagged huge gifts and benefits. Promotions, lands, houses, cash awards… Some of the company ‘stars’ got what was obviously their due as their hard work and sacrifices reaped huge rewards. There were some huge surprises there too. Some of them got very measly rewards in comparison to their star status within the company. This was interesting and disturbing. Now, he was really fidgeting and wondering what his case would be like. He heard his name called and his citation being read. It had only one detail. That he had shown up to work faithfully and punctually everyday for the past 20 years. Some in the crowd giggled at that and he felt ashamed and almost tripped on his own legs as he approached the stage. Once there, he got a handshake from the CEO, a little box with a golden wristwatch inside, and a thank you for coming acknowledgement. As he turned to go, the CEO called to him to wait and bent to whisper in his ear. Stephen felt cut to the heart. He had never felt so small in his whole life. The past 20 years flashed through his mind. There was a time working for Noiz had been his pride and joy. Those were the days he had been willing to do anything for the company. He had given his whole life to it then and had gone severally beyond the call of duty to get things done. As he started to settle into life, all that had begun to change. Marriage, kids, and a certain sense of comfort had taken some of the passion and he had settled into the routine and mundane. Distractions had also played a key role in his under-performance as he had introduced other pursuits that had helped kill the passion he once had for Noiz. To all intents and purposes, he had a good life and felt “blessed” but tonight had knocked all that semblance of having it together aside. Everything he had achieved in the early years had paled in significant insignificance compared to his under-performance of the latter years. He looked at those he had mocked their persisting passion once in a while, they were all smiles. Their persistence had paid off big time and they were smiling all the way to the bank. Some of them had not spent up to five years with the company, but had achieved so much in so little time. He felt deeply ashamed. He retreated to one corner of the hall and buried his head in his hands. He could not cry. The tears would not come even if he wanted them to. He tried to console himself though. After all, there were those who had not made it into the party. Some of them would never have the opportunity of the party, meeting and shaking the CEO like he had. At least in that, he was better than them. SELAH! We stood on the high mountain ranges watching the horizon as the sun set. It was not a good time for us. We had come so far, fought so hard, but this was not the outcome we desired. Looking around, we used to be a lot more than were gathered this evening. Not a word was said. There was no need to. Every face was grim. Eyes looking into the distance, lost in deep contemplation, but somehow, all thinking the same things. The scars were rather evident. More than our fair share. More than any of us should have ever borne. Yes, your curiosity is aroused now. You are are probably asking who we were. Let me help you there. Hitherto, we were the greatest band of unknown warriors ever to walk the land. The very few who knew of our existence, called us Guardians. We walked among men like ordinary people but there was nothing ordinary about the things we did and accomplished. Ora was our pride and joy. Verdant and rich in every sense, and we kept careful guard over it. Nothing happened anywhere that we did not know of, and quite frequently, even before it happened. Ours was a perpetual struggle against the enemies of life. Ours was a centuries long injunction to keep the peace and stability of the land. Let me step back a bit to tell you about these men and women. The slowest among us could outrun a stampeding herd of wild horses. The weakest had faced down giants three times their size and vanquished them. We were all gifted with the sight and could see farther than any eagle. We heard things that normal ears could not. Where ordinary humans feared to tread, were our regular haunts. By dint of extensive training and use, our senses and abilities far outweighed that of any human. Yet, you would walk past us on the streets and have not the faintest clue. Most of our battles were fought when men slept. Every incursion, swiftly repelled. If you had ever faced us, you knew never to try it again. We were much more famous amongst our enemies than the people we protected, and were feared greatly. How did we come about? Some of us were born into it and carried on a treasured legacy. Some were chosen, and some, simply found us and joined up. It did not matter how you came about; none was considered less than the other. One fundamental stood though: you needed to earn the right to remain. We were artisans, writers, healers, teachers, singers, musicians, fathers, mothers, and the like. We were in every sphere, in the shadows and hidden in plain sight, keeping watch. We had One Leader, Olisa, and took our instructions from Him alone. There was no doubt who was in charge and in the many years of our existence, we had been conditioned to do His bidding. We never went out alone. In every skirmish, every back was covered. We were taught that the rear was as important as the front, and so every battle plan took adequate care of that. To break ranks was to die and death was victory for our enemies. For centuries we lived. Ages and generations passed us by. We saw kingdoms established, dynasties begin, and end; and our enemies grow even more cunning, desperate, and intense. Those who would do the land well, we stood by till their dying breath. Those who would not, were swiftly dispatched. Okay, enough of my telling of what an awesome group we were. Why were we gathered in this somber assembly on a fateful evening like this? Looking back, it appeared we were too focused on guarding the land in which we dwelt and forgot to be guardians to ourselves. As the centuries passed, our ranks began to swell. Not all who received the gifts and endowments we were bestowed with saw the need to use it for the purpose they were meant for. Not all of them saw the need to maintain the focus and discipline that had been our stay across the eons, and had separated us from being as ordinary as every other. To them it was foolish to have such endowments without the accompanying fame and notoriety. And so the struggle started. And the lure was rather strong, and spread. Assignments were dropped or not accomplished. Posts were abandoned. Sensitive tasks were handled with levity. Warriors hitherto unknown, were now the toast of parties and all manner of revelry. What we had for centuries kept as sacred, was now on open display. Men revered them as demigods and the adulation and worship was their greatest undoing. Meanwhile, our enemy grew stronger and unchecked. The enemy that once dared not stand up to us, capitalized on our weakness and started making incursions. Olisa’s anger was kindled and his rage was like a fiery volcano burning through the mountain ranges. Foolishly, some of them, thinking that they still had it together, and with the praise of men ringing in their ears, started taking on the enemy alone. The paid dearly for it. We started to die. That was the surprising part. Men and women who had not known the fear of death for hundreds of years, all of a sudden, were succumbing to an enemy they had vanquished severally in the past. It was terrible to behold. Those who did not die, were wounded like they had never been in the past. We were gradually becoming too weakened to carry out battle strategies, and we failed miserably over and over again. With each failure, our grip over the land weakened, the enemy grew stronger, took over more and more territory, and men gave themselves up to all manner of foolishness. We were hit on every side and pummeled endlessly. The ridicule of men was even more painful. Right before their eyes, much touted invincibility was shattered to smithereens. Gods were bleeding, and bleeding badly, and men scorned them. Songs were sung of their falling, but rather than honor, they jested. Men told stories around campfires with acerbic wit of how their dismembered bodies were brought back from the battlefront, never minding that it had all been a sacrifice in their defense. Not one of those who had dallied with men had been spared. They were either dead or so badly wounded, they would never bear arms again. Olisa made sure of that. There were those of us, especially of the old guard, who remained. Much fewer than we would have liked. We had kept ourselves from being drawn into the foolishness that had beset our fellows, as sore as the temptations had been, and had watched it all play out like some fable written by a drunken oracle with a toothache. It was a big and bitter lesson. One we hoped that we had all learned. Many of us bore the scars of trying to fight battles with weakened warriors as companions. Some of us, would never stand to defend Ora again. As we stood there that solemn evening, the only words that had been said were grunts of acknowledgment as each one of us arrived. There was a lot that needed to be said but could not be said. No doubt though, the looks on the faces, and the stooped shoulders, said more than any words ever could. At a point, we could not stand anymore. So burdened in mind and spirit, we clasped our hands and knelt together as waves of sorrow and remorse washed over us for the things we had done, and had been done to us. There was one other thing though that was strongly prevalent in that meeting; anger, and loads of it. Unspoken, yet I could feel it rise like a river about to overflow its banks and flood an entire village. There was hell to pay! Gradually, thinking as one, we each started to raise our heads to look up, and square previously stooped shoulders, and we stood. Hands gripped weapons tighter, as determination was etched on each face. Indignation was like fire coursing through our veins. Almost without knowing, we began to tap spears and other weapons on the ground to some frenetic tempo and rhythm. It swelled and swelled until it covered the whole mountainside. We had been decimated but we were not completely defeated. Those who had dared stand up to us, would once again feel wrath like never before. We shouted! One huge sound that reverberated across the valleys and rolled down the hills. 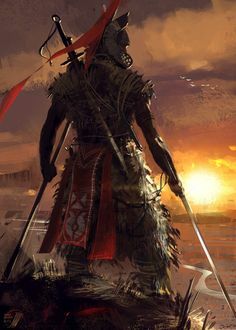 Let all who thought we were finished, hear, and know, that we were coming for them. And as our shout rolled around the mountains, a string of fire traced its way across the sky above us, and lightnings flashed with great peals of thunder. A horn sounded in the distance, and immediately, every sound ceased, except the fading timbres of the horn. As one, we turned towards its sound. It was a sound like no other. A sound that only we could hear. It was the Guardian’s call. Let's seek the truth. Let's share in Christ. I express here what I face in my daily life, what I see around me, what I think and what I feel i.e. EXPERIENCE of LIFE. Everything is DONE to satisfy YOU!